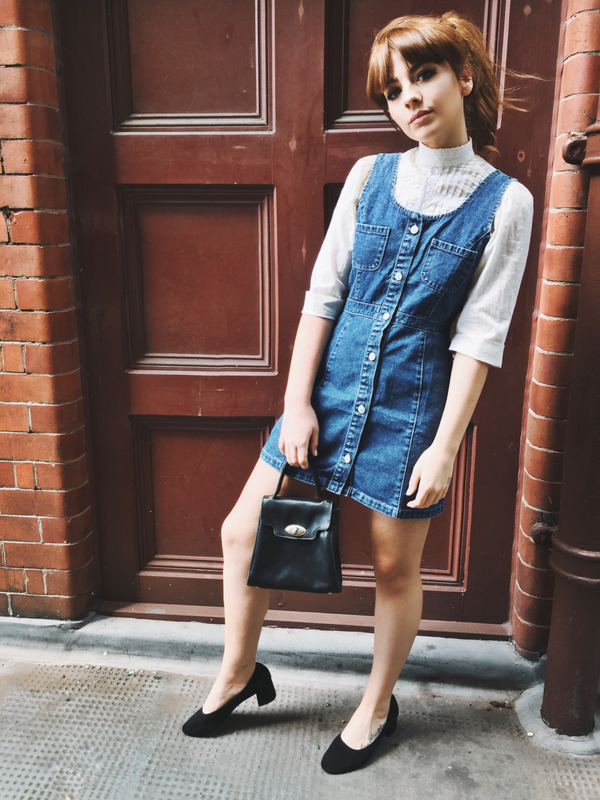 If you’ve not noticed already, denim dresses and blouses are a combination I’m particularly fond of. 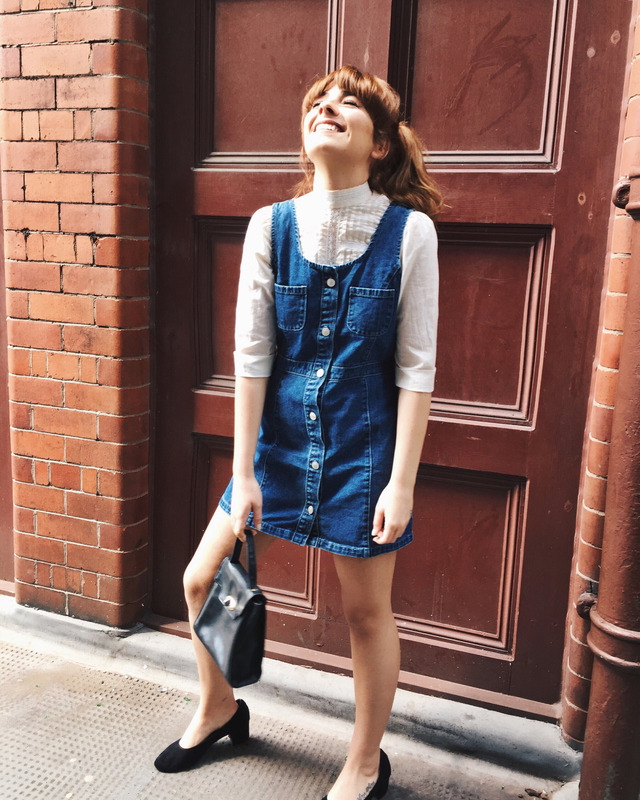 I’m a big fan of denim in general and it’s something I always gravitate towards when shopping. Having some great key denim pieces can open up your entire wardrobe and really make getting dressed for the weekend a complete breeze. As you might have gathered by now, my favourite denim is usually vintage denim. Mainly because it just has that authentic ‘worn in’ look, and I often find the cuts and styles to be much nicer. 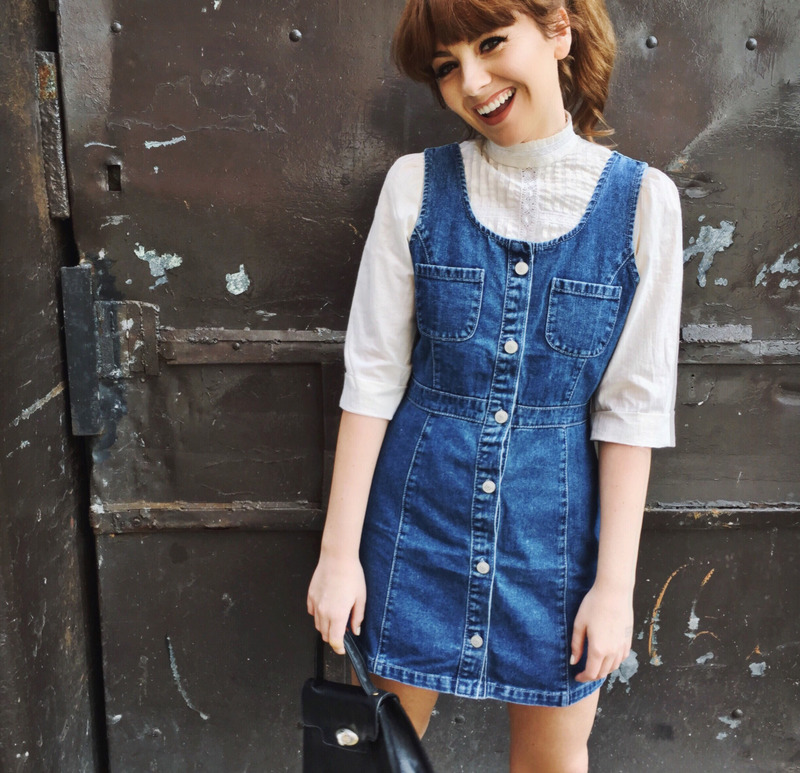 Dream vintage denim aside, I recently locked eyes with this little denim dress from Glamorous. It doesn’t have that cheap wash like a lot of inexpensive denim, and it’s perfect for dressing up or down. Here, I’m just wearing it with a vintage Laura Ashley blouse that happens to be one of my most treasured items of clothing. 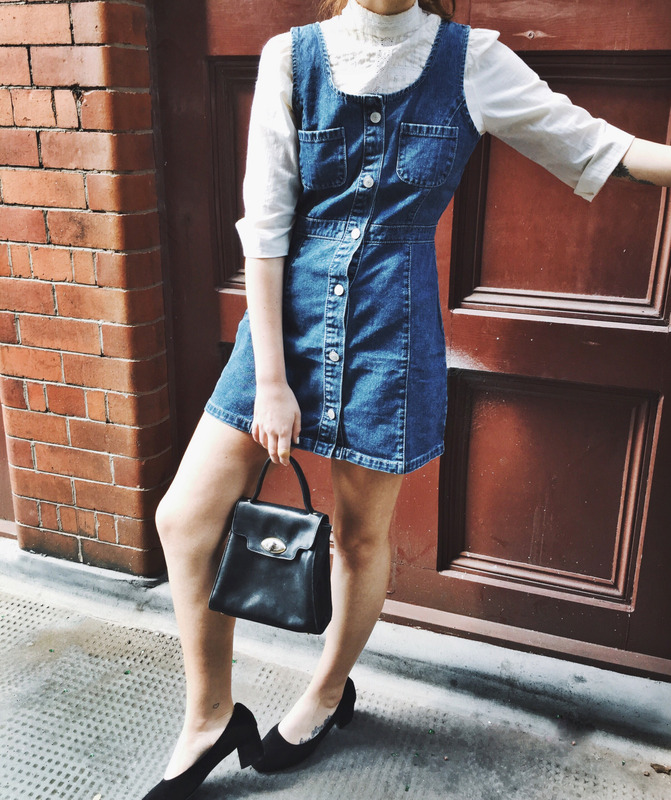 Add some black suede block heels and a mini structured bag and you’ve got the ultimate sixties school girl vibe. The button up detail and the pockets give the dress a really nice structured feel, which I like in contrast to the feminine blouse underneath. I think I’ll be getting a lot of wear out of this during the Summer months, as it looks really cute with nothing underneath, a straw bag, and some chunky sandals. I also sized up so I can wear it during the cooler months with a thin turtle neck jumper underneath and some pointed boots. In short, I think this type of dress is flattering on all shapes/sizes and can be switched up to suit so many different looks – a dreamy little fail-safe that’s affordable and looks like vintage. What’s not to like?